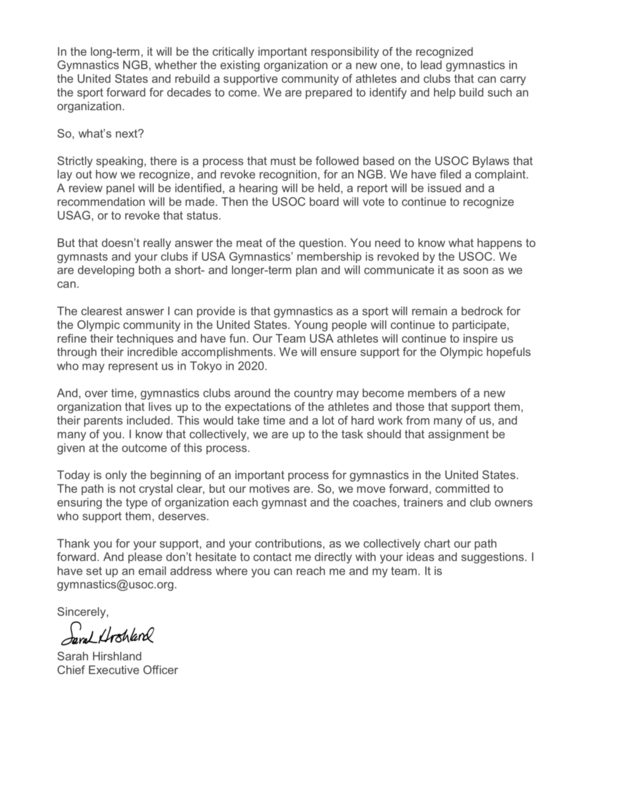 USOC Revokes USA Gym's Recognition as the NGB for Gymnastics in the U.S. 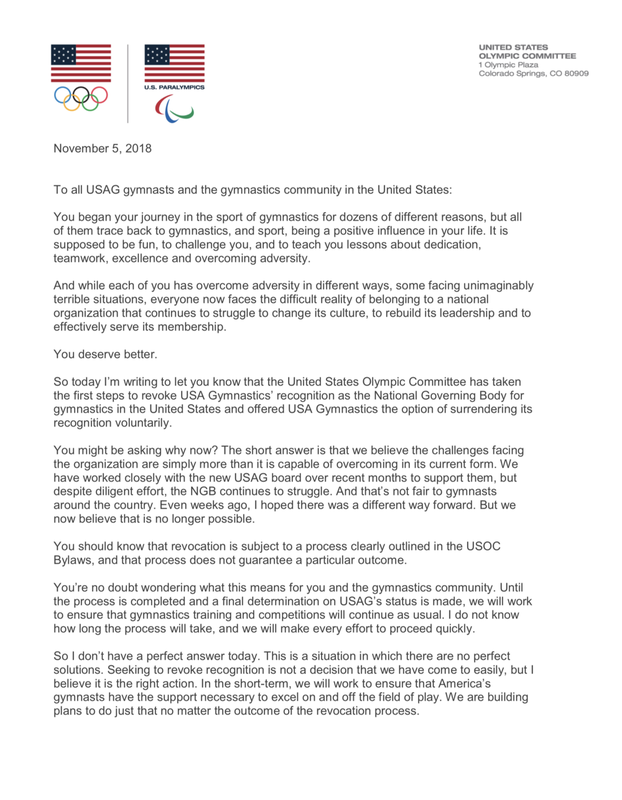 In an open-letter addressed to the gymnastics community, new United States Olympic Committee CEO Sarah Hirshland announced that the USOC has moved to revoke USAG’s recognition as a the national governing body for the sport of gymnastics in the United States. Newer Post"Reinstating Russia to global sporting stage a betrayal of clean athletes"